One of Charles Dickens's most popular novels, Oliver Twist is the story of a young orphan who dares to say, 'Please, sir, I want some more.' After escaping from the dark and dismal workhouse where he was born, Oliver finds himself on the mean streets of Victorian-era London and is unwittingly recruited into a scabrous gang of scheming urchins. In this band of petty thieves, Oliver encounters the extraordinary and vibrant characters who have captured audiences' imaginations for more than 150 years: the loathsome Fagin, the beautiful and tragic Nancy, the crafty Artful Dodger, and the terrifying Bill Sikes, perhaps one of the greatest villains of all time. 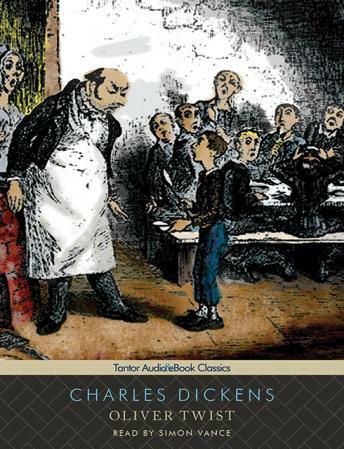 Rife with Dickens's disturbing descriptions of street life, the novel is buoyed by the purity of the orphan Oliver. Though he is treated with cruelty and surrounded by coarseness for most of his life, his pious innocence leads him at last to salvation-and the shocking discovery of his true identity.